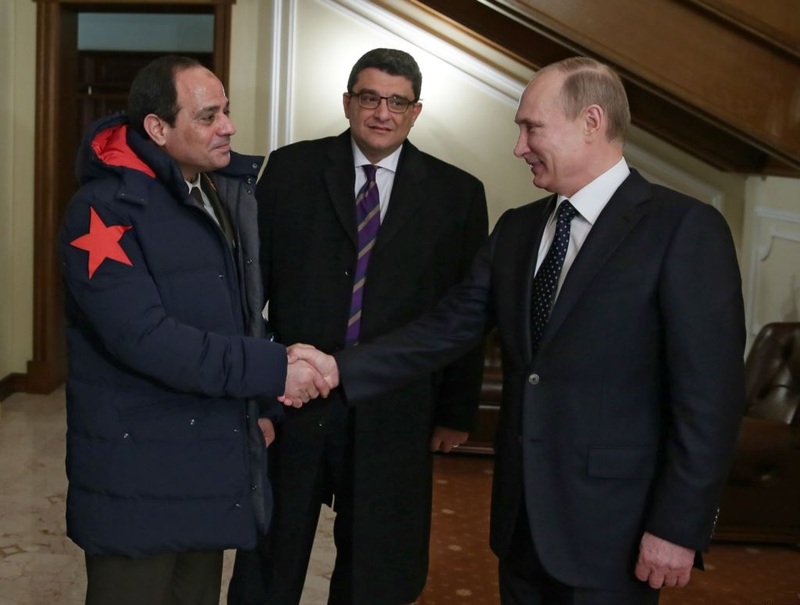 JNN 19 Feb 2014 Moscow : Russian President Vladimir Putin has said he backs Egyptian military chief Abdul Fattah al-Sisi in his “bid for the presidency”. Putin, meeting Field Marshal Sisi in Moscow on Thursday to discuss an arms deal, said he was “aware” of his decision to run, BBC reported. However, there has been no announcement on the matter from the Egyptian side. The field marshal led the overthrow of President Mohamed Morsi last July, and the new constitution calls for an election by mid-April. Correspondents say Field Marshal Sisi would be likely to win, given his popularity and the lack of any serious rivals. Putin said: “I know that you, mister defense minister, have decided to run for president of Egypt. Field Marshal Sisi is in Russia to negotiate a $2bn arms deal, after the United States suspended some of its annual military assistance in response to Morsi’s removal. No details have been released about the military discussions, although Russian media pointed to Egyptian interest in acquiring air defense missiles, MiG-29 jets and helicopters, among other weapons. Two weeks ago Egypt’s Supreme Council of the Armed Forces (Scaf) gave its public support to any presidential bid by Field Marshal Sisi. However, last week, the military issued a denial after a Kuwaiti newspaper quoted the field marshal as saying he would run for the presidency. The military said at the time that any announcement would “be done via clear and direct statements that cannot be doubted or misinterpreted”. The 59-year-old former military intelligence chief was appointed head of the armed forces and defense minister by Morsi in August 2012. The United States, Egypt’s primary supplier of military goods since a 1979 peace agreement between Egypt and Israel, scaled back some of its aid last year in response to al-Sisi’s ousting of Egypt’s first democratically elected president. The military crackdown that followed has resulted in 2,500 deaths and more than 20,000 arrests since July. This entry was posted in AFRICA, Europe and tagged Abdul Fattah al-Sisi, Egypt, Egyptian, field marshal, Field Marshal Sisi, General Abdul fatah al sisi, Military Supplies, President Mohamed Morsi, president of egypt, Russian Arms, russian president vladimir putin. Bookmark the permalink.